Earlier this year I was in touch with the National Dahlia Collection in Penzance over a painting I had done of one of their cultivars, 'Twynings After Eight'. Subsequently, the Collection contacted me and asked whether I would like to have a plant named after me. Rather breathlessly, I accepted, of course! I was offered a choice of three, all large decorative forms which I adore, and chose one with interesting curled petals with pink tinges. I was also able to choose the name. So rather than just my full name, I decided to choose something which captured my joy in life. The name 'Venamore's Delight' reflects not only my delight in botanical painting, but with life itself and all it offers. 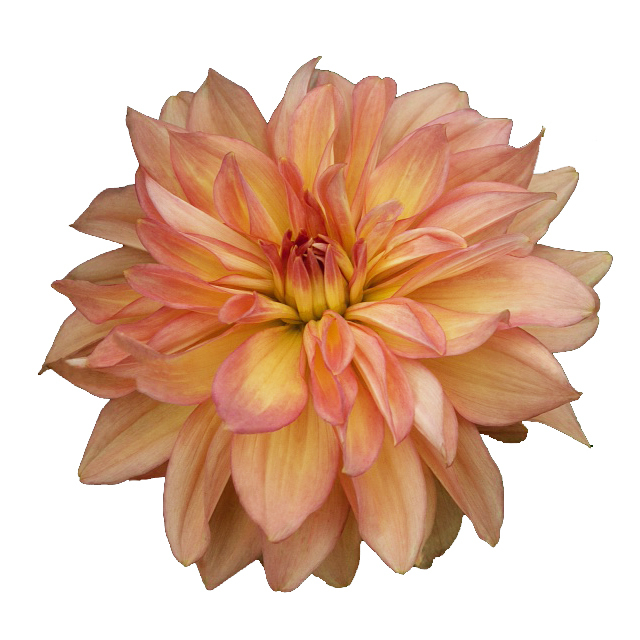 The National Dahlia Collection then registered the name in the Royal Horticultural Society's plant registration process. 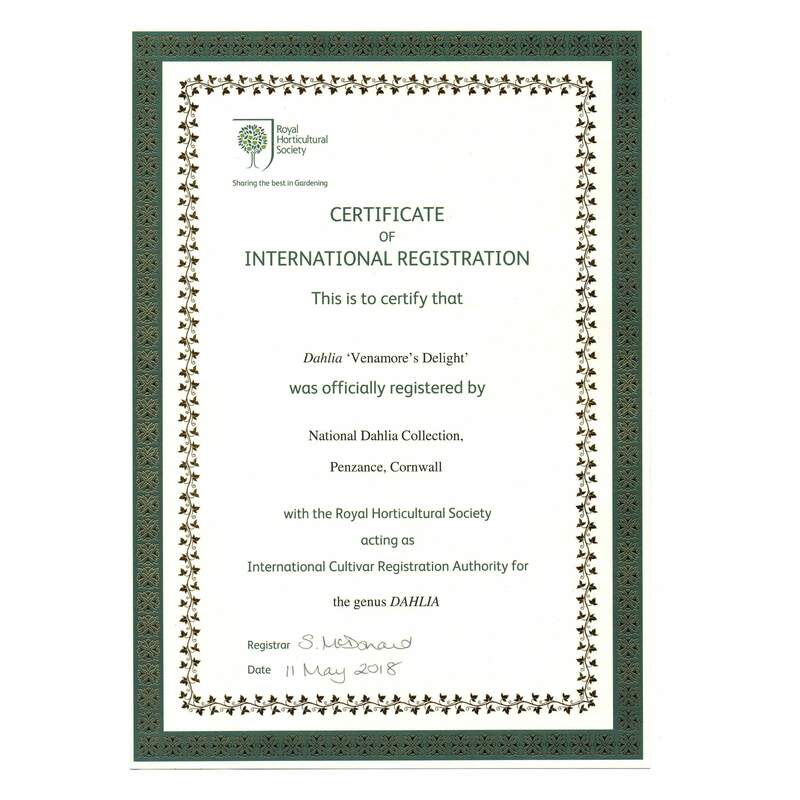 The RHS is part of a worldwide network of International Cultivar Registration Authorities (ICRAs), which play a vital role in promoting uniformity, accuracy and stability in the naming of cultivated plants. It is a voluntary process that benefits the horticultural community. ICRAs are appointed by the International Society for Horticultural Science through its Commission for Nomenclature and Registration. Once registered, the RHS issues a certificate, a copy of which I now hold. A fascinating process and a deep honour to be involved in a plant's name, as a botanical artist. I will plant several of these tubers and paint them once they flower.